Summit of the Aiguille du Midi: 3842 m ... The scenery is oustanding! 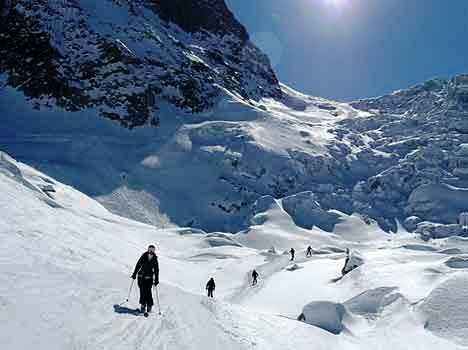 The Vallée Blanche is an "off-piste and untracked course", taking place on a glacier terrain in the high mountains. Supervision by a qualified mountain guide from Compagnie des Guides de Chamonix is the safest way to take full advantage of the activity. Skiers must be able to control their speed, side-slip, ski at a safe speed and follow existing tracks. The necessary skills are comparable to the ones who can ski a black slope comfortable (single black diamond run). In case of fresh snow, skiing the Vallée Blanche is reserved for proper off-piste skiing skills. Meeting point: 8:45 am at the bottom of the Aiguille du Midi cablecar (Info point - wooden chalet). Price: 158 €/person, entrance to Musilac for the same day included. IMPORTANT : DON'T LOOSE nor FORGET YOUR LIFTPASS, it will be the voucher to get your Musilac ticket for the same day. 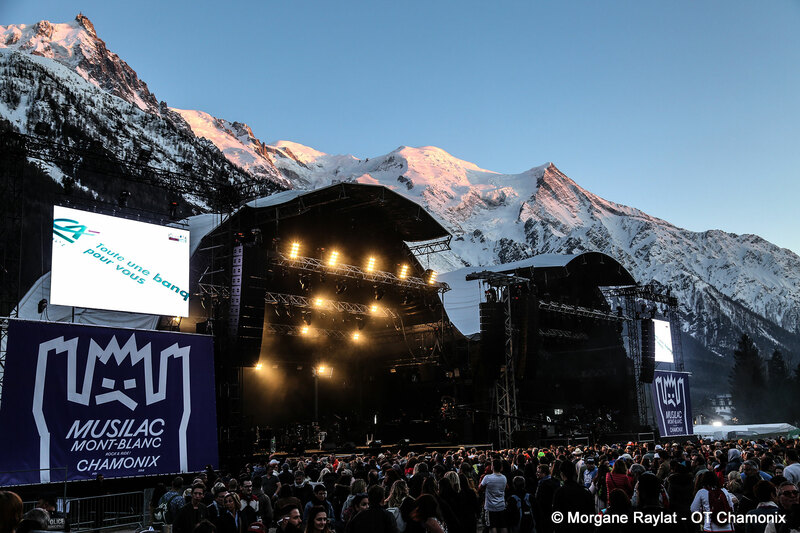 To be picked up directly at the Musilac Info Point, Place du Mont-Blanc. - Clothing should be adapted to the cold and windy conditions that we ofter have at the beginning of the descent. Gloves, hats, sunglasses and sunscreen with a high degree of protection are essential.